You are currently browsing the tag archive for the ‘defender’ tag. 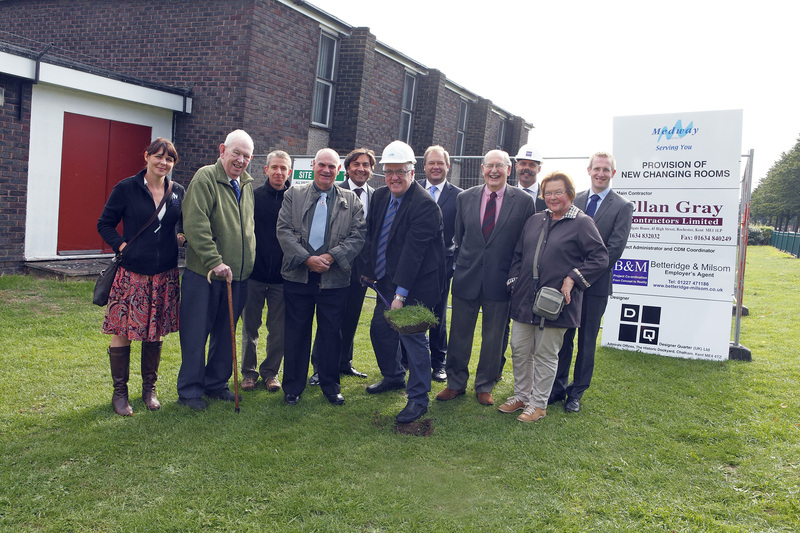 Work has begun on the construction of a new community football pavilion in Medway. The decision to build an extension to the existing community hall follows extensive consultation with the Rochester and District Saturday League and the Medway Messenger Sunday Football League, Twydall Community Association, Medway Council’s Portfolio Holderfor Community Services Howard Doe and local ward members. It will replace the existing changing pavillion, which will be demolished once the new one is in place. It will provide an all inclusive facility at Beechings Way. The hall will continue to be run by Twydall Community Association and the football changing facilities by Medway Council. The funding for this scheme has been provided as part of a developer contribution for formal sport. Pictured are Medway Council Porfolio Holder for Community Services Howard Doe, with representatives of the two local football leagues and Twydall Community Association.